Urushi Shinobue Tsugaru Uta 8-hon Choshi Shinobue Jade- Traditional Japanese Bamboo Flute | Mejiro Co.
Our elegant urushi shinobue are carefully lacquered by our top artisan who was professionally trained in the art of Tsugaru-nuri, which is one of the most famous Urushi techniques originating in the Aomori region, located approximately 700km north of Tokyo. 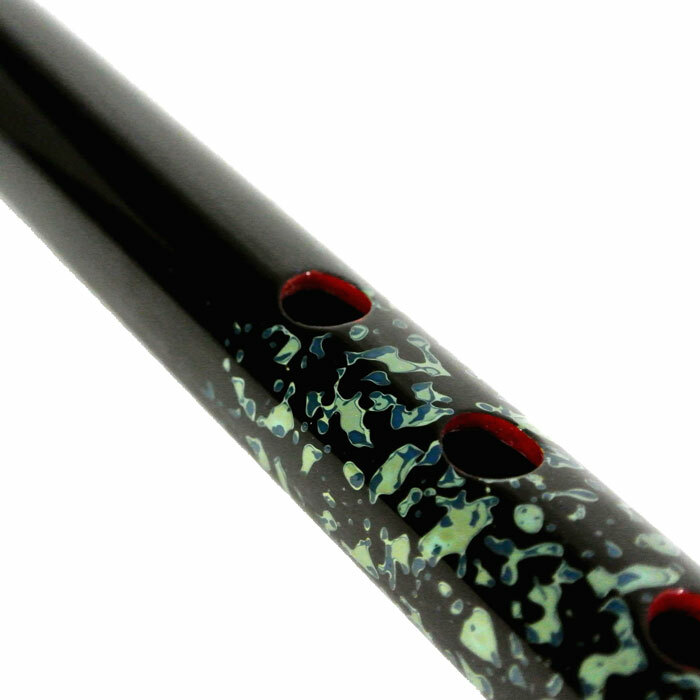 Our artisan's specialty is refurbishing Samurai swords, and he is an expert in the art of Urushi repair. Other sizes are also available on special order basis! Please contact us if you are interested. Time for delivery: 6 weeks.